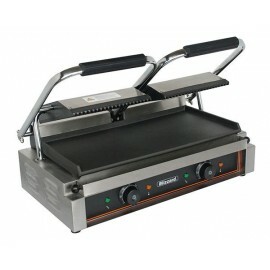 A great value light duty contact double grill with top and bottom ribbed plates ideal for cafés, pubs and bars. 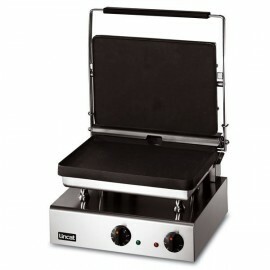 The unit has cast iron cooking plates, manual thermostat and removable drip tray for easy cleaning. 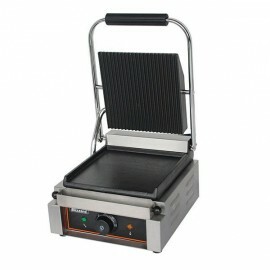 A wire cleaning brush is also supplied as standard. 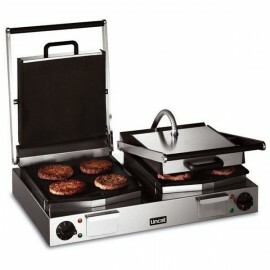 Lincat double panini grill. 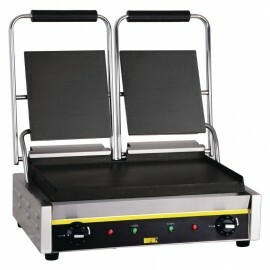 Two easy to clean, smooth cooking plates with easy heat up from cold. 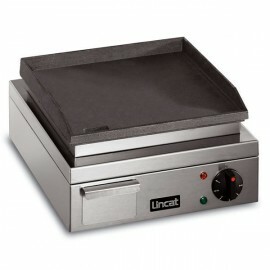 Co..
Lincat heavy duty contact grill with three cast aluminium cooking plate options. 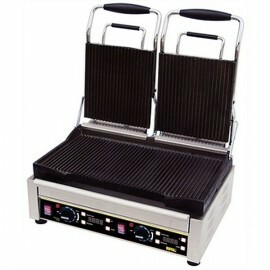 Ideal for front of .. 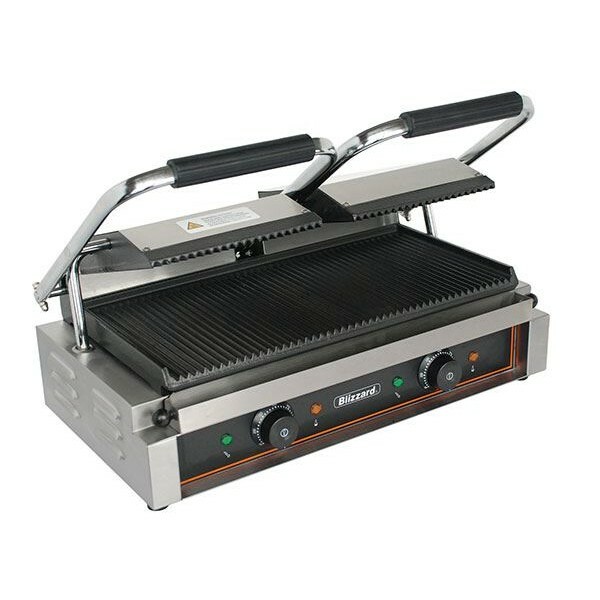 The Buffalo L555 Double Contact Grill has a cast iron cooking plate and a range of plate options, ch..
A great value contact grill from Buffalo, combining tough stainless steel construction with flat cas..